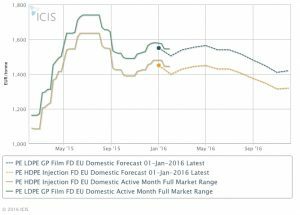 ICIS price forecast reports are produced by the Data Analytics Group of ICIS, which operates independently of our Editorial team. The concise monthly reports include details of prices, margins, capacity, supply and demand for the next 12 months – all in a single report. Available for a range of commodities, this easy-to-use format is quick to read and supports fast decision-making as it covers everything you need to know to understand where the market is heading. Consulting – ICIS one-on-one consulting service digs deep into your business. Our consultants deliver tailored solutions based on your unique requirements – from research and due diligence, to investment analysis and portfolio optimisation. In addition, our China based team can deliver the insights you need to understand how local developments can impact the global petrochemical markets. Scenario Study: Demand-The New Direction for Profit – This new Study by ICIS and the independent UK chemicals consultancy, International eChem, is the culmination of five years of ground-breaking forecasting work. It has been developed by a team of experts who have many decades of industry experience in all the main product areas and geographies, and is under-pinned by data from the ICIS global Supply & Demand data analytics platform. ICIS Dashboard subscribers who receive the price forecast report will be able to access monthly price forecast curves (depending on which price forecast report you subscribe to) on the ICIS Dashboard with commentary from our analysts, alongside up to 12-months’ worth of historical prices. To find out more or take a trial click here.